Bush to tighten Fiscal Penalties Against Sudan. WASHINGTON, May 28 — President Bush will announce Tuesday that he is imposing stiff economic sanctions against Sudan — including penalties against two senior government officials and a rebel leader — and that he will press the United Nations for additional actions to end the violence in Darfur, two senior administration officials said Monday. The decision makes good on a threat the president made nearly six weeks ago. Mr. Bush warned then that the United States would act if Sudan’s president, Omar Hassan al-Bashir, did not permit a full deployment of United Nations peacekeeping forces, allow aid to reach the Darfur region and end his support for the janjaweed, the militias that have been systematically killing civilians there. Mr. Bush leaves next week for Europe to attend a meeting of the Group of 8 industrialized nations, where Darfur is expected to be an issue, and the officials said Mr. Bush wanted to act before then. Specifically, the president will take four steps, all effective immediately, the officials said. First, he will step up enforcement of existing economic sanctions against 100 or so Sudanese companies already barred from doing business with the United States. Second, he will add 31 additional companies to the sanctions list, barring them from any dollar transactions within the United States financial system. Of those companies, 30 are controlled by the Sudanese government, officials said, and at least one is violating an embargo against shipping arms to Darfur. Third, Mr. Bush also will single out two senior officials and a rebel leader for sanctions. The officials would not identify them, but said that Mr. Bush would do so in his remarks at the White House on Tuesday. Finally, the officials said, Mr. Bush will direct Secretary of State Condoleezza Rice to seek United Nations approval for an international resolution to impose a broad arms embargo against Sudan and to bar the Sudanese government from conducting any military flights in Darfur. Mr. Bush has long been trying to find a way to end what his administration has termed genocide in Darfur, in western Sudan, where at least 200,000 people have been killed and more than 2.5 million displaced. He has been under intense pressure from human rights advocates to act, and many expected him to announce measures against Sudan last month in a speech he delivered at the United States Holocaust Memorial Museum in Washington. Instead, Mr. Bush bowed to pressure from the United Nations Secretary General, Ban Ki-moon, who had been trying to pursue a diplomatic course with Mr. Bashir. In the days before the president’s April 18 speech, Mr. Ban called Ms. Rice to ask for more time to negotiate with the Sudanese leader, and administration officials said then that Mr. Bush decided reluctantly to give it to him. Although the Bush administration has classified the situation in Darfur as genocide, the United Nations has not. The administration officials said the secretary general had been made aware of Mr. Bush’s plans for sanctions, though they would not say if Mr. Bush had spoken personally with Mr. Ban. It was unclear Monday night how Mr. Bush’s announcement would be received at the United Nations. After the president’s speech last month, ambassadors from China, Russia and South Africa said they were not yet convinced of the need for sanctions. Mr. Bush is said by officials to be extremely frustrated with the situation in Darfur, and his top aides have been saying for months that they were upset with Sudan’s refusal to permit the deployment of United Nations peacekeepers in the country or to allow relief aid to reach the region. At the same time, saving Darfur has become a powerful political cause, not only among human rights advocates but also among religious groups, including some of the Christian conservatives who make up Mr. Bush’s political base. The administration’s frustration spilled out in the open in March, when Andrew S. Natsios, the United States special envoy to Sudan, laid out the package of sanctions that the president is to announce on Tuesday in testimony before the Senate Foreign Relations Committee. Then, just a day before Mr. Bush’s April speech at the Holocaust Museum, a confidential United Nations study found that Sudan was flying arms and heavy equipment into Darfur in planes painted white, apparently to masquerade as United Nations jets. 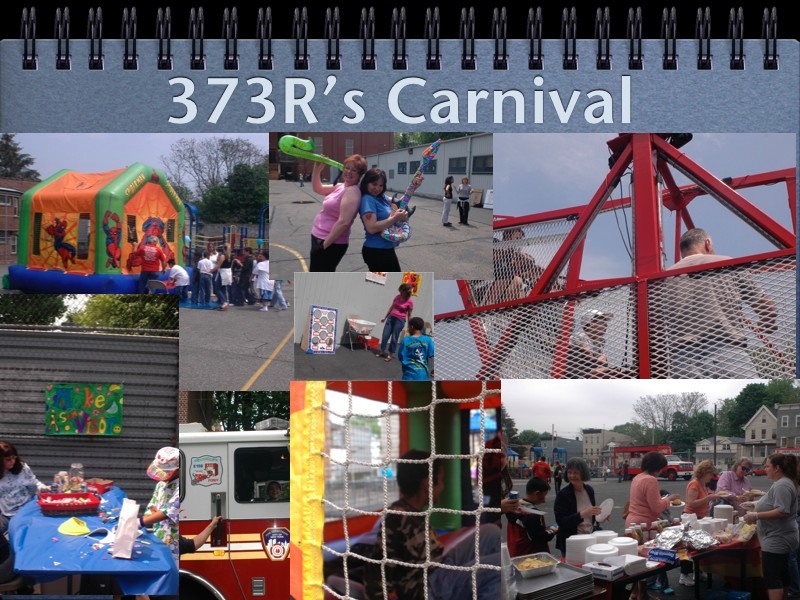 Last week P.S.373 R had their annual carnival. Did you have a good time? Do you have a suggestion for next years carnival? Maybe you just want to say thanks to the people who worked to put this together. Leave a comment or a suggestion. How could we make it better? On August 29th, 2004, Hurricane Katrina, the third major hurricane of the 2005 season, struck the Gulf Coast of the United States. The Category 4 hurricane struck with extreme force, causing nearly $80 billion in damages and taking over 1,800 lives. Ms. Dimeo’ class is doing a movie on Katrina and it impact. Today we are going to look at how hurricanes form at a great little site that does an animation of them. DARFUR SCORING CARD to see if they have tried to help that region.